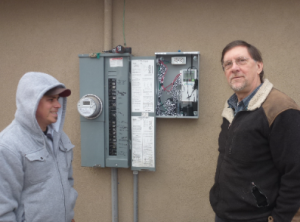 Dave Robinson contracted energy renovations for 30 years and served the industry as president of the California Building Performance Association before starting GreenEarthEquities in 2008. He performs deep energy retrofits on foreclosed homes and and is building an Army of Energy-Wise Investors to do the same. As the principal of GreenEarthEquities, his column provides proven insights into the nuts and bolts of profitable energy-wise house flipping utilizing the latest green building tools and technology. Click here to read one or all of his many posts on every aspect of this issue. his column provides proven insights into the nuts and bolts of profitable energy-wise house flipping utilizing the latest green building tools and technology. Click here to read one or all of his many posts on every aspect of this issue. 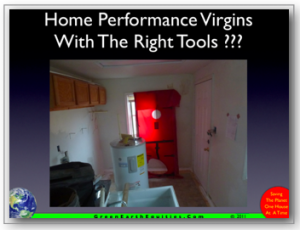 Creating The Home Performance Ninja Team Of course most Americans know little about Home Performance, or CFM50’s, Blower Doors or why any of those matter. … But folks who would be reading this know and care a lot about those things. And when we gather (at ACI conferences or the various forums online) … one complaint sooner or later comes...Continue Reading! What Would You Say If…..
(If You Had 30 Seconds To Address Our Industry?) 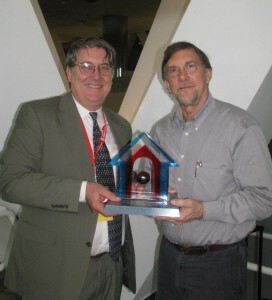 That’s what I had when accepting the Tony Woods Award at the recent Affordable Comfort Conference in Baltimore. Actually there was no time scheduled but Larry Zarcher’s a nice guy, so he bent the schedule … “OK, but no more than 30 seconds.” The audience was a thousand of the most influential...Continue Reading! Is This Property A Deal? 955 W Euclid, Clovis CA 93612 Greetings Planetsavers Last week's Field Trip to 955 Euclid was a real eye opener. I hadn't expected that we would find a real deal to buy but that may have been what happened. 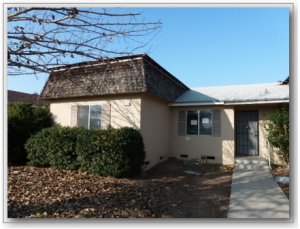 We have submitted an offer on the property based on our inspection and the comps provided by Jennifer. The...Continue Reading! Let's say, for example, that you are concerned about Climate Change, Peak Oil, Resource Conservation, and buying less from people who are convinced that America is The Great Satan ... All of that. And with the arrival of your second child, the apartment just isn't working anymore ... It's time to buy your first home. Here's how that...Continue Reading! When's the best time to sell your Green Renovation? ASAP of course. I was surprised when i counted them up, We've sold 6 of our first 12 Green Renovations before they were finished. (The project on Scott Avenue that we've been talking about & showing on the Tuesday Webinars has been sold during the whole process.) ...Continue Reading! I've spent the week at the annual ACI Convention (Affordable Comfort Institute) in San Francisco. A group of friends were considering "Our biggest take-away" from the meetings. I said I have never seen so much agreement that we need to simplify this new Home Performance Industry or it will flounder before it even gets started. I heard variations...Continue Reading! I'm sure you've noticed there are two poles of belief about what's important in Residential Energy Conservation ... Basically Conservation or Renewables. The Conservation Camp says, "Design it right, Build it tight, Vent it right, Insulate the heck out of it, and your heating and cooling costs will be so low that you wont really need Renewables (solar, wind,...Continue Reading! I've recently begun hearing complaints from folks who are trying to make it in this new Home Performance industry. What I'm hearing centers around 4 challenges: 1. Cost in time and money for equipment and training & certification. 2. Interface with the utility and government programs. 3. Cost of Marketing and unclosed sales. 4. Frustration with being unable to sell complete solutions and...Continue Reading! I've had a little of all of those in my recent move from California to Virginia. After 50 years of living in a desert (9 inches of rain per year in California's San Joaquin Valley) I am amazed that it's green all year long here in Round Hill Virginia ... without irrigation. And there really are 4...Continue Reading!